The Kellogg Biological Station Long-term Ecological Research (LTER) Program studies the ecology of intensive field crop ecosystems and its environmental consequences as part of a National Network of LTER Sites established by the National Science Foundation in 1980. The KBS LTER joined the network in 1988. Learn more about our project history. 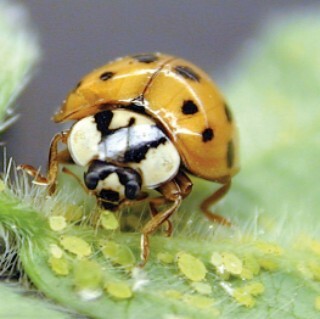 LTER research at KBS is designed to answer the broader question of how agronomic management can better utilize biological resources in cropping systems to control pests, provide nitrogen, and build soil fertility: In short, how to make agriculture more profitable and provide environmental benefits. Over 100 scientists conduct research on our site, from Michigan State University and from around the world. 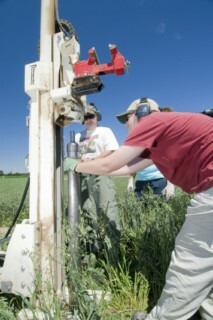 Our research is funded by the National Science Foundation and Michigan State University AgBioReserach. In addition, many other funders support research on site, including the US Department of Energy, the United States Department of Agriculture, and the Electrical Power Research Institute. We are a comprehensive program of research, education, and outreach. We have many opportunities for graduate students and undergraduate students to become involved with KBS LTER activities. We place great value on sharing our research with a variety of stakeholders, including other scientists, K-12 educators, farmers and agricultural professionals, the media and general public. There are many ways to get involved with our research and educational programs. Subscribe to our RSS feeds or connect with us in social media to stay updated on our research.